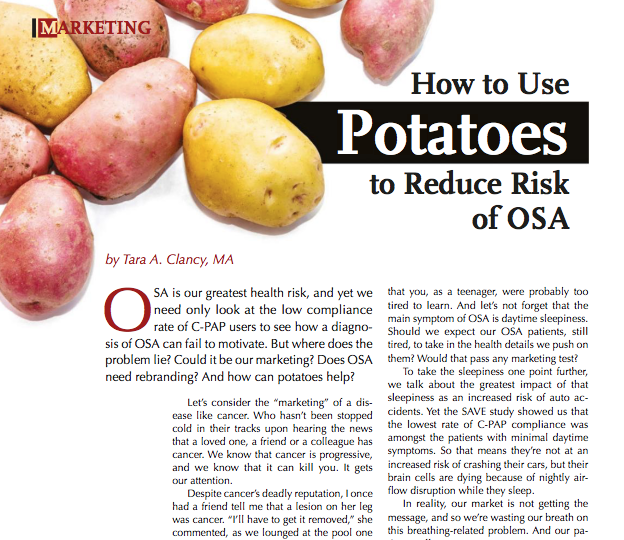 Can we really use potatoes to reduce sleep apnea risks? Close your mouth–an open mouth is the gateway to sleep apnea! Here’s the TED Talk I mention in the article. If you want to be amused and informed, there’s no one better than Rory Sutherland. What a funny guy he is!